The Leveson Inquiry has invited evidence and submissions from the public as well as from the Core participants. 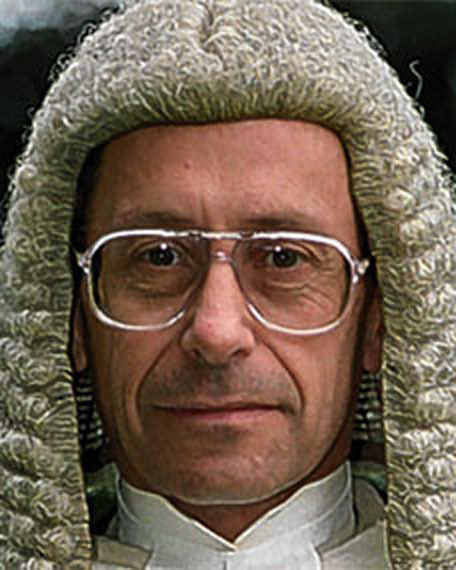 Although not reported widely in the media, last October, the recently retired Lord Justice of Appeal, Sir Stephen Sedley, made his own submission to the Leveson Inquiry. This is available on theLeveson Inquiry website [pdf]. In this submission, Sir Stephen proposes his own model of statutory regulation of the media. “material which has no proper place in a society which respects truth and recognises the rule of law: material which illegitimately invades individual privacy, which depraves and corrupts or which is simply mendacious“. He points out that while the first and second are illegal, or potentially so, simple lying “carries neither civil nor criminal penalties”. “it is possible, at present, without fear of redress, to publish untruths which, although neither libellous nor invasive of privacy, can do serious personal or public harm”. Despite this, he argues that the law’s abstension from the regulation of truth-telling is both principled and wholesome. “widely and rightly regarded as a body lacking both perceptible independence and any worthwhile disciplinary power“. The standards to be applied could, he suggests, could perfectly well be those in the PCC’s Code. The critical element of such a statutory regulator would be, he argues, its powers. He suggests that the primary tool should be an uncapped power to impose fines, tailored to the gravity of the offence. Such penalties should be open to appeal or review. Sir Stephen argues that the subject-matter of a complaint would not have to be “pigeon-holed” into a legal category and there should be no trade off against civil rights of action. As to who should be subject to regulation, he suggests that the daily printed media are the obvious candidates. The fact that international co-operation would be required for internet issues is not a reason for doing nothing now about the mainstream media. In relation to the non-mainstream media, he suggests a possible solution would be to give the regulator a remit “which allows it to investigate any written publication within the United Kingdom“. “the press should remain free to refuse to publish a required correction or retraction following an adverse adjudicatiion, but if it does so any regulatory fine should rise steeply”. Our attention has been drawn to a new book, “Privacy Injunctions and the Media: A Practice Manual” by Iain Goldrein QC. This is intended to be a practical manual that details how to argue a case and contains check-lists and quality control protocols. It aims to sets out the law relating to privacy injunctions, and best practice in relation to seeking or opposing this form of relief. “A string of high profile law suits has drawn attention to a rapidly developing and controversial branch of media law – the use of privacy injunctions to restrain publication of information relating to the private lives of individuals. The purpose of this book is to set out the law relating to privacy injunctions, and best practice in relation to seeking or opposing this form of relief. Such best practice is targeted not just at litigators. This book is aimed also at journalists who are the watchdogs of the freedoms of our society, and other organs of the media”. The book reflects the agenda (included in the foreword to the book) set by Lord Neuberger’s Report of 2011 and the subsequent Practice Guidance. The book’s Table of Contents can be read here and the Preface here. The published price is £125 but there is a special discount for readers of Inforrm of 20%. To receive the discount order online and mention ref: ‘INFORRM’ in the special instructions field (or when contacting Hart Publishing). Please note that the discount will not be shown on your order but will be applied when the order is processed. Leonard McNae, 1902-1996, wrote the firstEssential Law for Journalists for the National Council for the Training of Journalists (NCTJ), which was published as a book in 1954, replacing the NUJ’s The Pressman and the Law by G.F.L. Bridgman of the Middle Temple. Its latest edition written by Mike Dodd, legal advisor to the Press Association, and Mark Hanna, senior lecturer at the University of Sheffield, launched on 30 March at The Honourable Society of Gray’s Inn, London. Among the lawyers, academics and journalists attending the launch on Friday were Dodd and Hanna’s predecessors, Tom Welsh and Walter Greenwood. Lord Hunt, chairman of the Press Complaints Commission, gave the keynote speech which outlined some of his experiences at the self-regulatory body so far, as it moves into its transition phase. Against any form of statutory regulation, he has drawn up a draft for a regulatory system [PDF] but is steering clear of a name for the new body at this time. McNae’s has become “an institution in its own right“, Lord Hunt said on Friday. Judith Townend is a freelance journalist and PhD researcher examining legal restraints on the media, who runs the Meeja Law blog. She is@jtownend on Twitter.